Juliette Holloway frowned, swiping a lock of dark hair behind her ear. It was going to be a long day at Romeo’s Florist Shop, and she still had two more flower arrangements to put together before the morning rush. 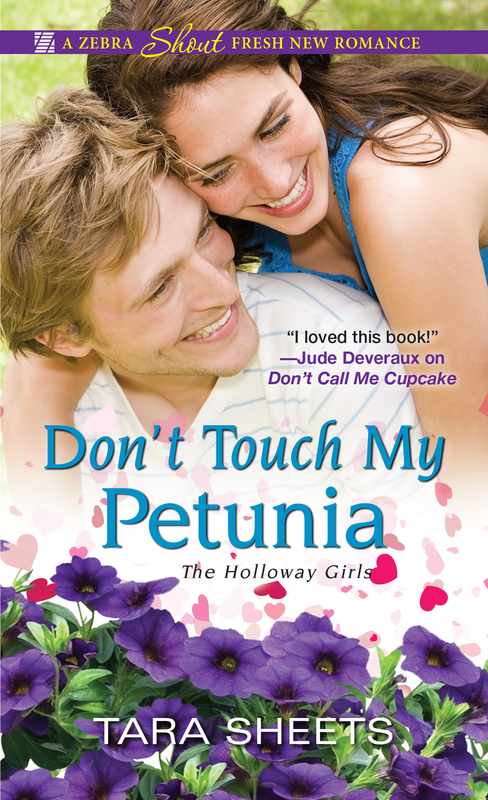 The guy messing with her petunia plant didn’t move or turn around. He had broad shoulders, and his head almost reached the top of the door frame. In jeans, a gray T-shirt, and a baseball cap, he looked like one of those NFL athletes—completely out of place surrounded by the delicate summer blooms and hanging fuchsia baskets. Juliette bristled. The plant was her newest project. Normally, she could make anything grow and thrive. Like all Holloway women before her, she was born with a special gift. Hers was garden magic. A customer had given her the potted petunia after rescuing it from an office cubicle. The poor thing had been halfway to the grave, but she’d nurtured it back to life. And now some linebacker was mauling it. She closed her eyes, ignoring the flush of embarrassment creeping up her cheeks. Way to set yourself up, genius. Maybe he didn’t notice. “I’m not usually so forward.” His deep voice hovered on the edge of laughter. Okay, so he noticed. Big whoop. Whoever he was, he was immature, and she didn’t have time for this. She grabbed the plant and turned away. The hem of her flowy skirt caught on the edge of a low shelf, and she yanked it free before escaping to the back counter. “Have we met before?” he called. For a pickup line, it was pretty bad. But he had a million-dollar smile and knew how to use it. The face. The superhero physique. All he needed was a cape or a giant hammer, or something. He probably didn’t have much practice with pickup lines because he didn’t need any. There was something familiar about the way he walked—like he owned the world—but she couldn’t place him. When he reached the counter, she was glad to be on the other side. It wasn’t that she felt threatened. At five feet nine inches, she was comfortable with tall people. But this guy towered over her, and when he looked at her like that, it was . . . unsettling. “That bad, huh?” His mouth kicked up at one corner.